The use of cannabis products for health and wellness is legalized in over 30 states, and this market will become a $20 billion industry by 2020. This newly legalized product is proven helps with many health care problems from insomnia to cancer treatment and pain management. The market for this wellness treatment includes the use of cannabis with THC, the main psychoactive ingredient in marijuana. But it also includes the use of non-psychoactive cannabis products that include only CBD oil, an ingredient derived from the marijuana plant that does not have the psychoactive ingredients that provide that marijuana high. If you are looking for that miracle treatment that will help you to feel better, learn how to use CBD oil right here. CBD oil is an oil from the cannabis plant called Cannabis sativa. When the plant products are used as is, they are marijuana plants that provide a psychoactive high. That psychoactive high, along with other side effects of using the plant in wellness. This is the leading reason that marijuana became legal in over 30 states. But a lot of people want to use that plant for medicinal purposes, without getting that big high. Along comes CBD oil. CBD is short for cannabidiol and is an ingredient in the plant that when used can help you feel better from a variety of ailments. That includes anything from sleeplessness to cancer treatment. It’s even used for acne and skin care treatments. A little bit of CBD oil products along with this daily skin care routine can clear up that problem in no time. CBD oil is extracted from the plant and then diluted with a carrier oil such as lavender, coconut, or sesame oil. That oil appears in a variety of products including vaping products, salves and creams, capsules and tinctures, and even inedible products you can take for healing to feel better. Research shows that CBD oil and cannabis has been effective for pain treatment since 2900 B.C. Most recently, that use has become a multi-billion dollar industry. Study after study finds that CBD oil helps with many illnesses from pain management to sleeplessness. It’s also shown to help decrease the number of opioids and other narcotic pain medications that are contributing to the opioid crisis today. These meds can have a toxic effect on everything from your liver to your appearance. No matter what ailment you are considering CBD oil for, chances are you will be able to find that one method of use that will help you feel better soon. 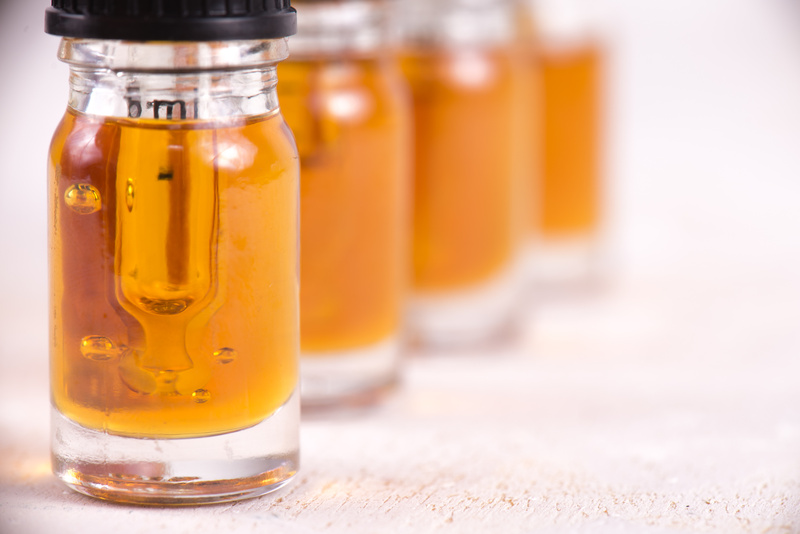 There are a number of uses for CBD oil, and with a little research and testing on your own, it shouldn’t be long before you find the best form of CBD oil for you. One means of using CBD oil is in the use of creams, lotions, salves, and other CBD oil tinctures. This is a cream with the ingredient of CBD oil applied directly on the body for many uses. You might use it for chronic back pain or arthritis, to help with your skin, or to just relax with its soothing properties if you have anxiety or sleeplessness. The skin absorbs the CBD oil and passes its healing properties into the bloodstream for relaxing effects. Not only is it used as a cream, but an oil tincture as well. A few drops of CBD oil infused with another oil is used orally on the tongue. This will also send the treatment to your bloodstream quickly. When used as a cream or salve, CBD oil provides targeted relief to the area in question. Get more information on how CBD oil infused with refreshing oils such as lavender and eucalyptus can be used as a cream for healing. As a salve or tincture, CBD oil isvery effective in treating skin conditions. Try this oil along with your favorite face mask or facial. A good facial can change your entire life! And with a little bit of CBD oil, you will gain a new perspective on how to relax on your time. Discover 10 great benefits of facials and launch your new self-care routine you’ll quickly become obsessed with. If you aren’t comfortable with using a CBD oil cream, CBD oil capsules are taken orally. They often come in a variety of concentrations ranging from 15 milligrams to 100 milligrams. There is no prescribed dosage of CBD oil in most cases, and it is wise to start slowly and small doses to test your tolerance for the CBD oil capsules. Buy your CBD oil capsules from a company that offers a wide range of concentrations so you are not limited to one concentration that may not work for you. Everybody responds to CBD oil differently, and CBD oil capsules are a great way to start using this treatment if you are not comfortable with using creams or salves. But there are other ways you can use CBD oil as well. Vaping is a form of CBD oil delivery and is a way to use CBD oil without smoking it. It is delivered through a vaping pen and then inhaled. Once inhaled, the CBD oil travels to the lungs and then i8nto the bloodstream. It is considered the fastest way to get CBD oil into the blood. Taking CBD orally through capsules or creams will be effective, but you may have to wait a little bit longer for the oil to reach your bloodstream. This means you won’t feel immediate relief. But through vaping CBD oil, you are likely to experience almost instant relief. One of the most common ways to use CBD oil is through what is colloquially known as “edibles.” This is a treatment where the CBD oil is extracted from the plant, and then used in things you can eat. That could be anything from CBD oil gummies, or literally any kind of food product. At a dispensary for marijuana, for example, you might find the offering of a food product such as a CBD oil brownie or even a muffin. This is a very comfortable way for many people to use CBD oil. But again, this means of delivery means you will have to wait for the CBD oil to become effective. Once you ingest the edible, the CBD takes some time to reach the bloodstream. Once it does you will begin to feel its effects. But this could take anywhere from 30 minutes to 2 hours. This is acceptable by many CBD oil users. But those suffering from chronic pain and need almost instant pain relief are likely to find a different means of delivery for CBD oil. The method of delivery that you use is entirely up to you. Learning how to use CBD oil is easy. You just need to choose the means of delivery that is best for you and your wellness regime. When you have a health situation that you can not control and have tried every management available for it, you may find yourself in a place where you are considering CBD oil. It can feel overwhelming. You are sick, or tired, or in pain, or just want to go to sleep at night, and therein lies a solution. But you may worry about the legality of CBD oil, or wonder if it will cause you more harm. The use of CBD oil is supported through thousands of studies and scientific research as an effective treatment for a variety of disorders. The World Health Organization concluded at its November 2017 Expert Committee on Drug Dependence meeting that in its pure state, cannabidiol doesn’t have abuse potential and isn’t harmful. Research indicates that you can take up to 1,200 milligrams daily for months without any major side effects. That’s as much as 60 servings a day. Most people aren’t going to take that much. The takeaway from that research and the World Health Organization’s information is that CBD oil is not harmful, and it is almost physically impossible to take too much. Take control of your health and your pain, insomnia, or anxiety and learn how to use CBD oil. It could be life-changing. Choosing the method and administration of CBD oil that is right for you can feel overwhelming. Vaping, edibles, salves, tinctures, and tablets oh my. It’s normal to have a lot of questions when you begin considering this health solution. What one is the right one to treat your problem? And how much should you take? Try CBD oil today and begin the journey to relaxation and wellness. You will look and feel younger when you learn how to use CBD oil today. While you are adding CBD oil to your wellness routine, add more pampering to your self-care program when you discover these 8 essential oils for your skin care.